Sachin & Babi design and create an exquisite line of contemporary and evening ready-to-wear clothing for the modern woman. 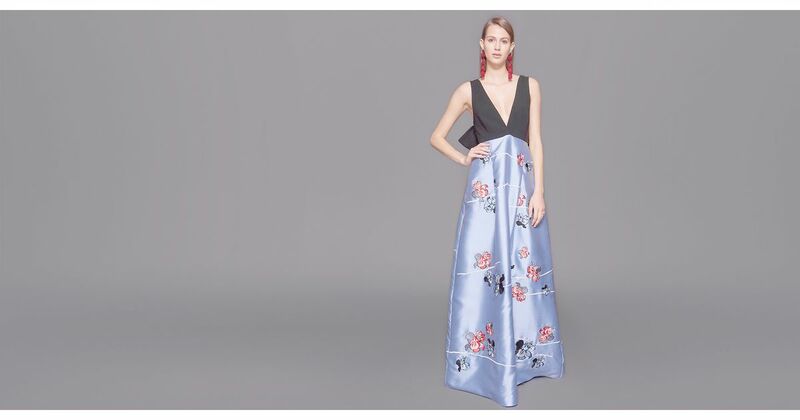 Having garnered experience after developing embroidery and applique concepts for some of the world's most influential designers, the duo now offer the same quality to consumers around the world. Hola, señorita bonita! The Paola Gown is an absolute beauty with its flirtatious low cut silhouette and a gorgeous blue fabric to contrast against the bow detail in the back and the delicate floral threadwork, all hand sewn onto the gown.